Good afternoon everyone! 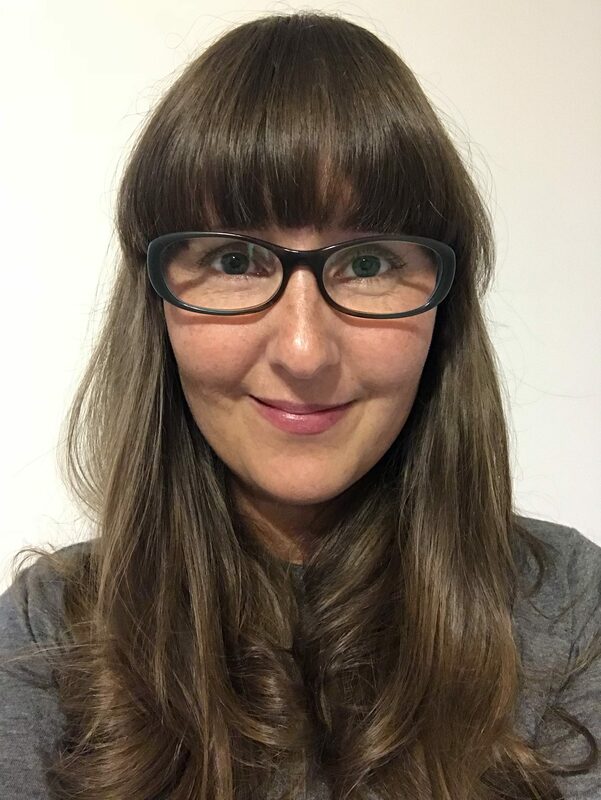 I hope you are all having a lovely day! We are getting so close to Labor Day which tend to sign the end of Summer and while I am ready for cooler weather, I still love having some fragments of summer left to keep things bright. 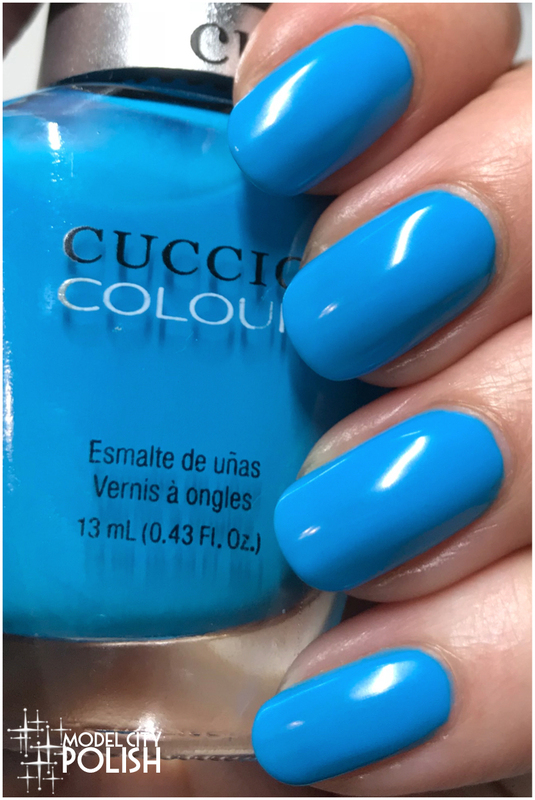 In keeping things bright and cheery, Atomix Collection from Cuccio Colour will certainly have me thinking of those warm summer days at the beach! 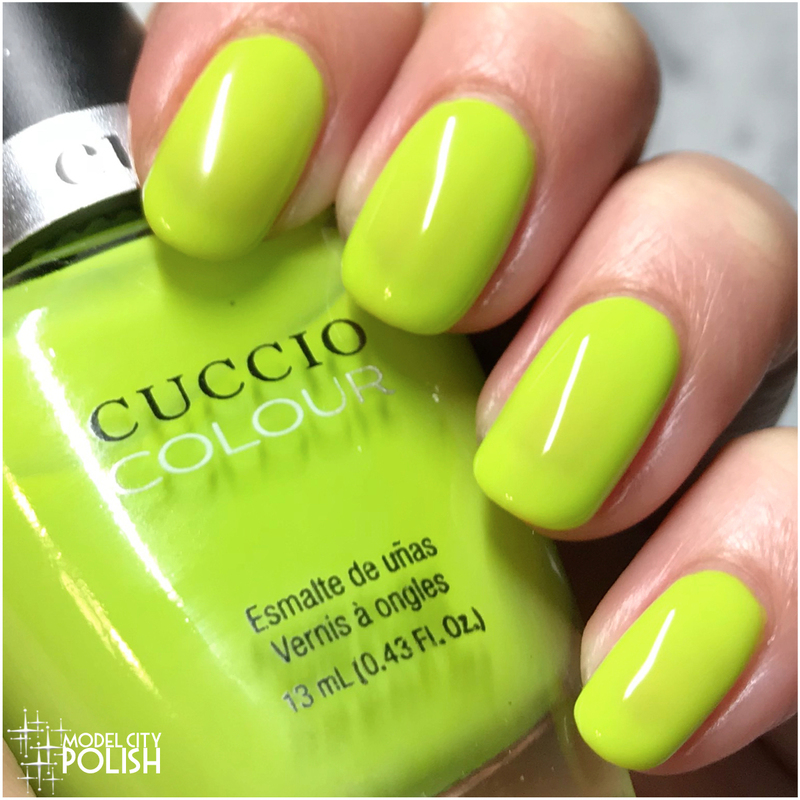 Atomix is a stunning 8 piece neon creme collection that is simply amazing and shows that Cuccio Colour is keeping up with the market! 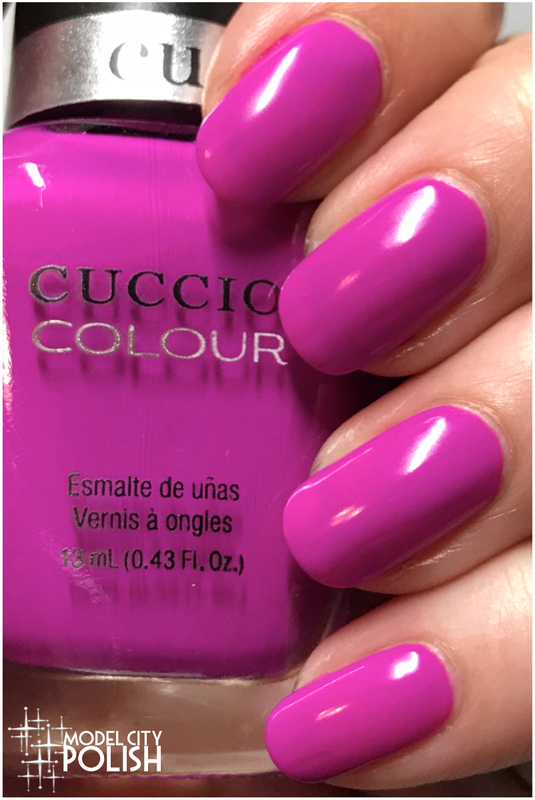 I personally love Cuccio’s amazing lacquers so seeing some more fun shades in their line up has me excited for what else is in store for us! 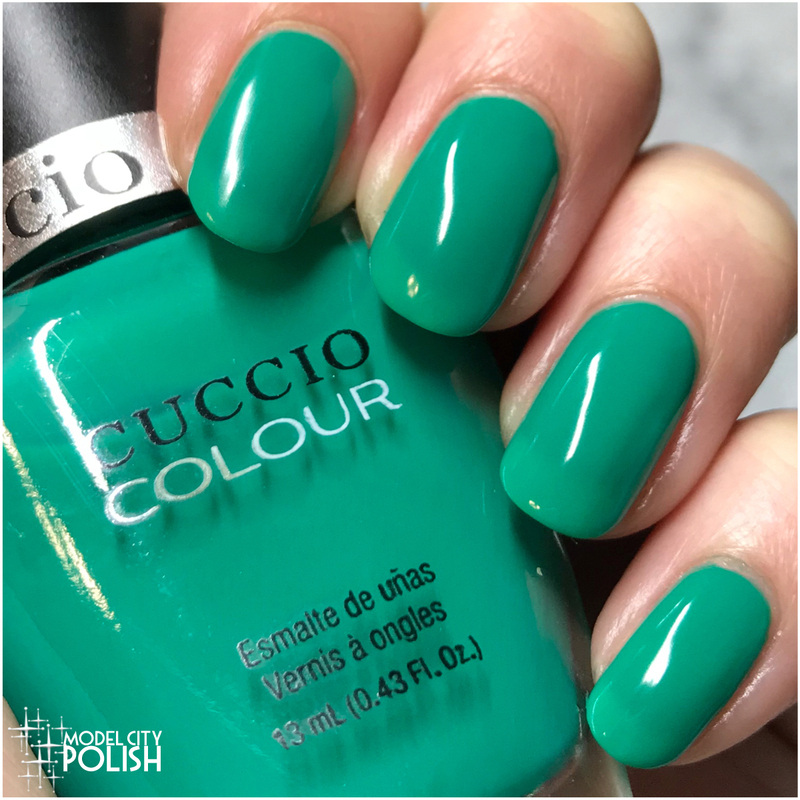 Today’s post is pretty picture heavy so let’s dive on in to the Atomix Collection by Cuccio Colour! First up we have Pretty Awesome. 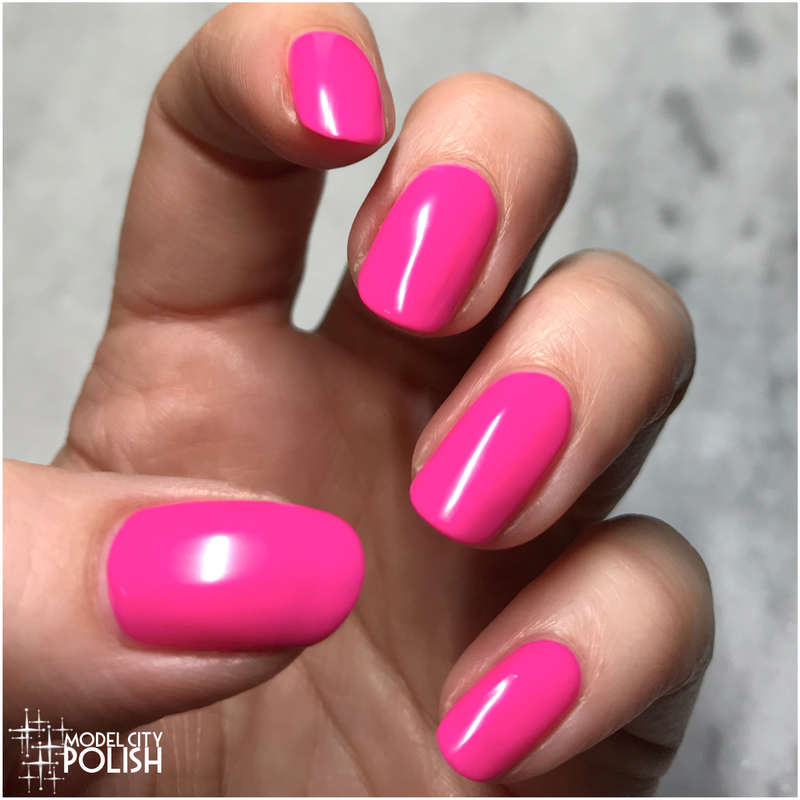 This is a lovely light pink neon that is just perfect! 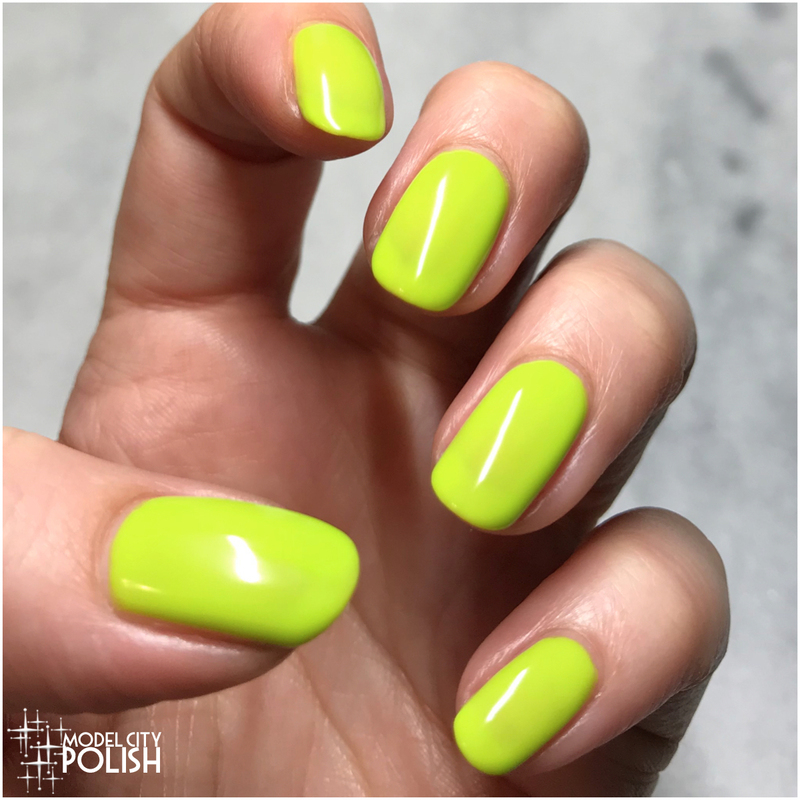 Formula was perfect and coverage surprisingly well for a neon. 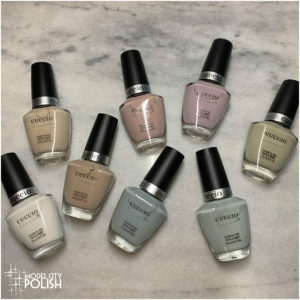 These all do dry a bit matte so I would recommend a shiny top coat for an ultra glossy look. 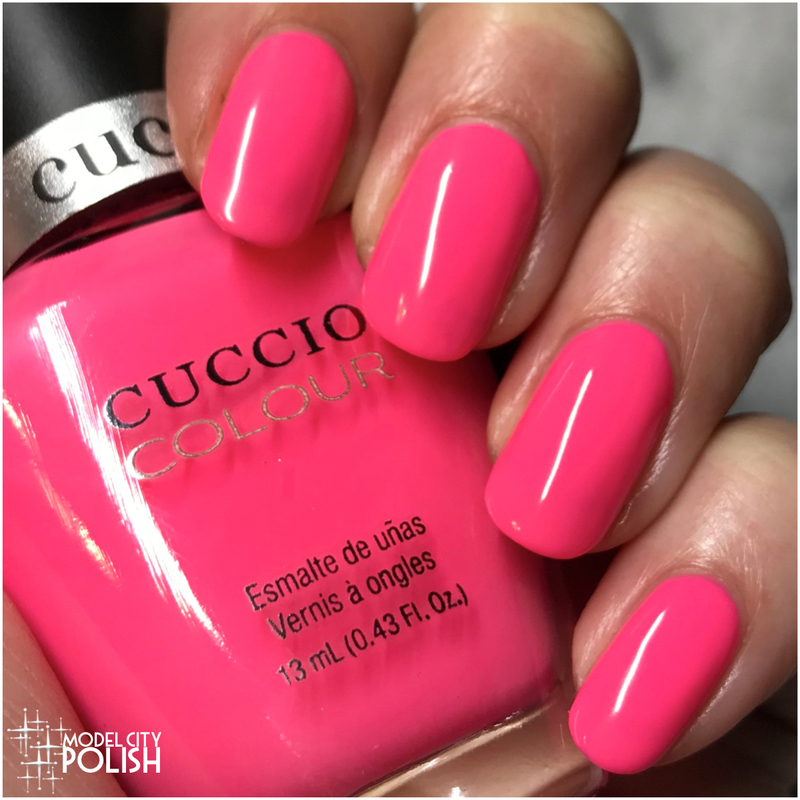 In my photos I am wearing three coats of Pretty Awesome by Cuccio Colour and a top coat. Next up we have She Rocks. 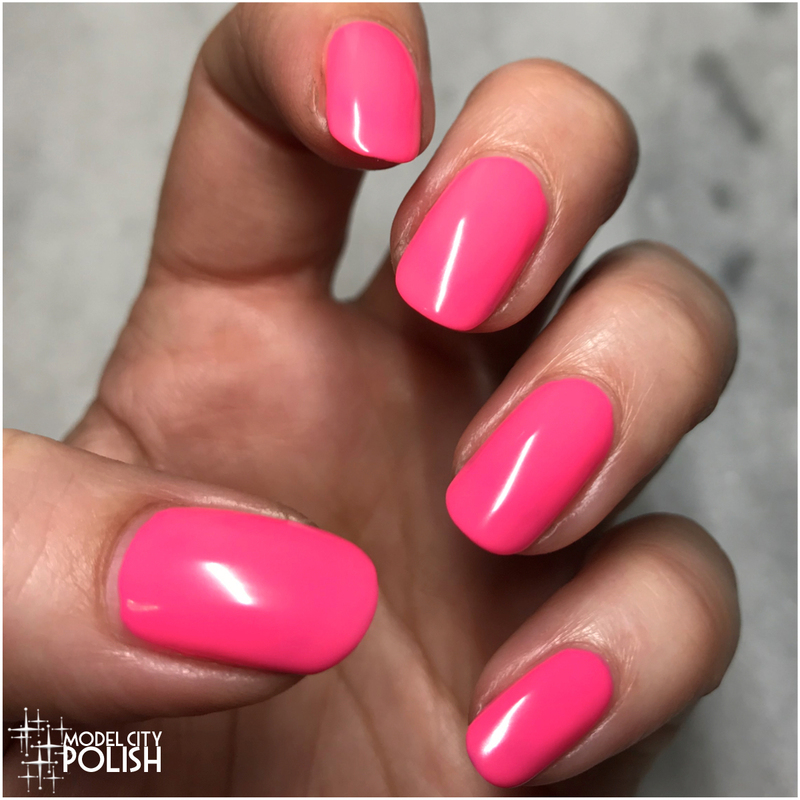 This is a beautiful bright flamingo pink neon creme. Once again this lacquer was pretty much perfect, great formula and coverage. 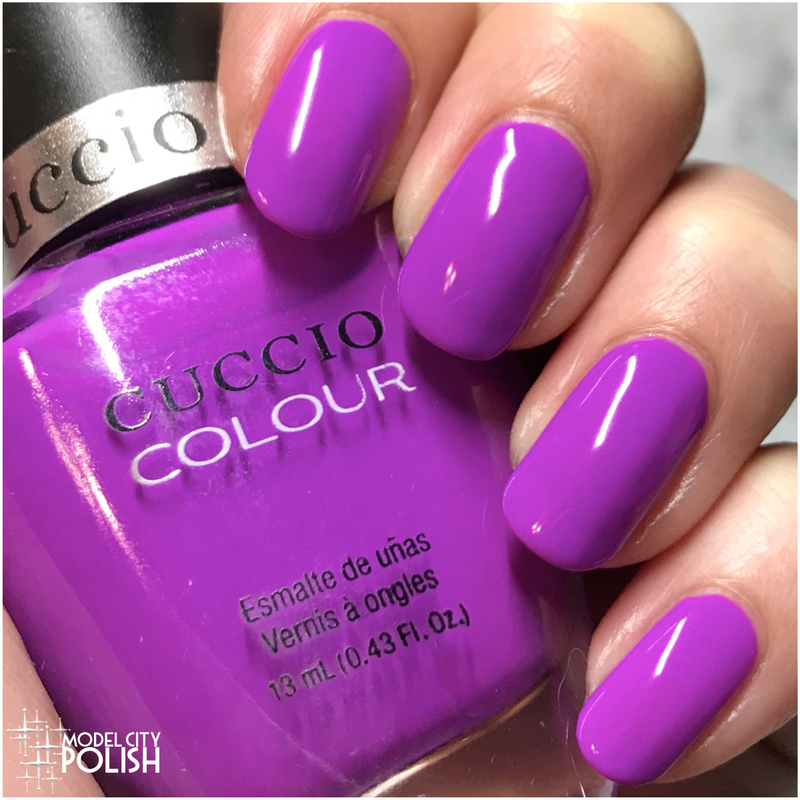 In my photos I am wearing three coats of She Rock by Cuccio Colour and one coat of clear. Now for a bright lacquer that is perfect for Summer and even more so for Fall. 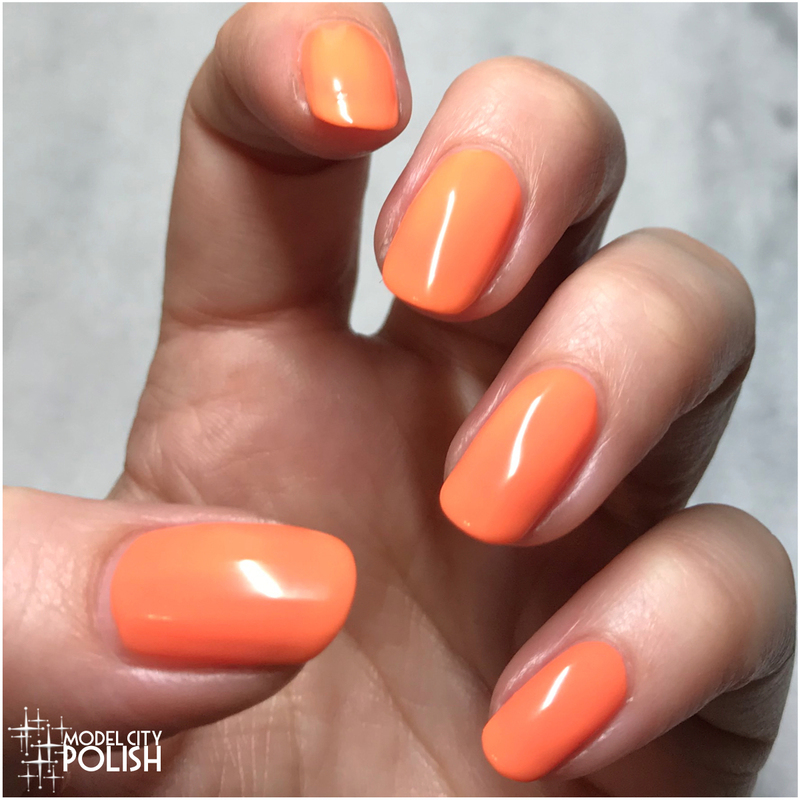 Be Fearless is a bright tangerine orange neon creme. I also see this working for a pumpkin mani this Fall! 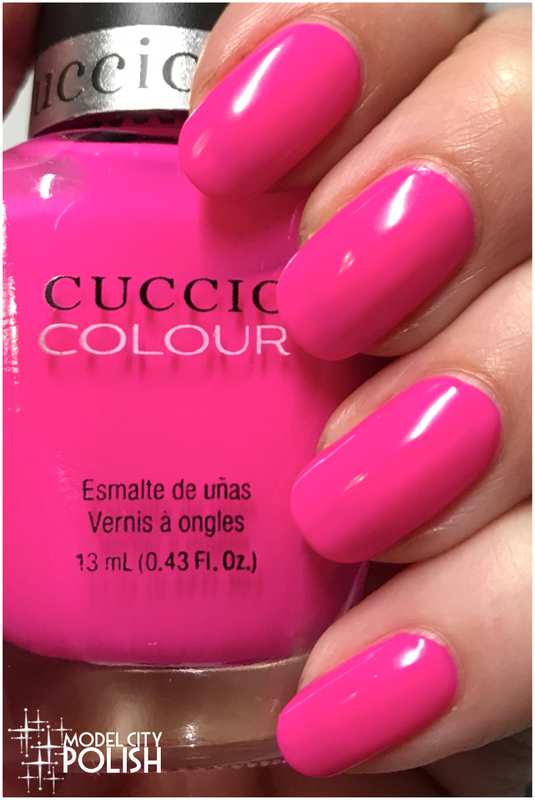 In my photos I am wearing three coats of Be Fearless by Cuccio Colour and one coat of clear. Now for an electric shade! Wow The World will do just that! 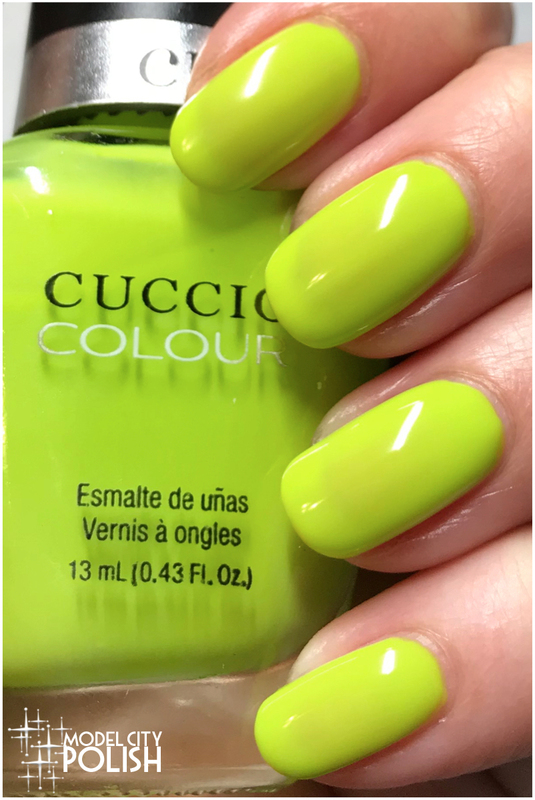 This is an amazing neon yellow creme with green undertones. While I did have mild visible nail line, it was something I live with considering how bright and amazing it is. 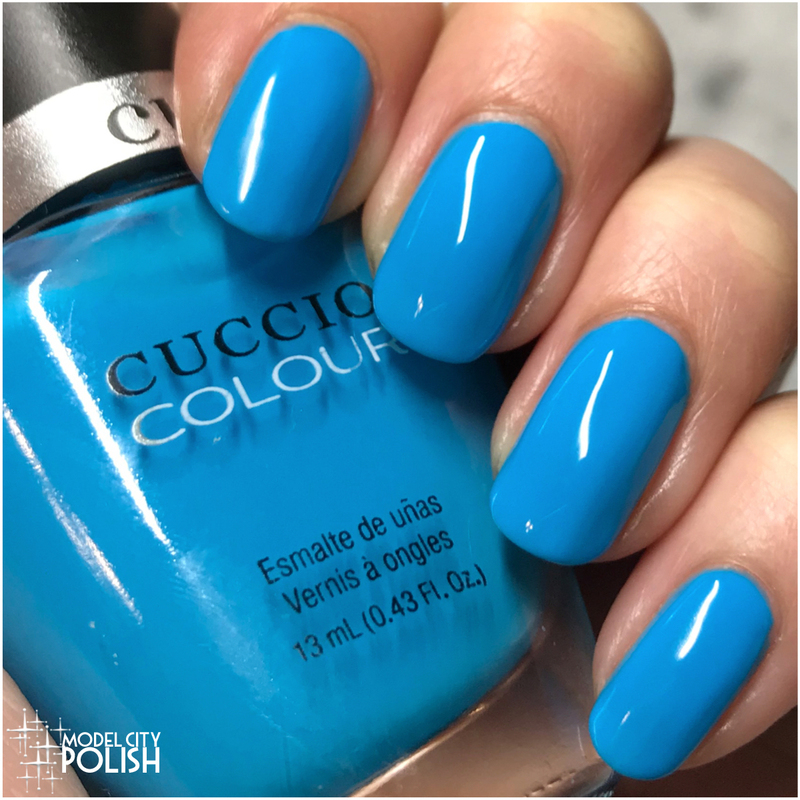 In my photos I am wearing three coats of Wow The World by Cuccio Colour and one coat of clear. Next up one of my favorites from the collection. 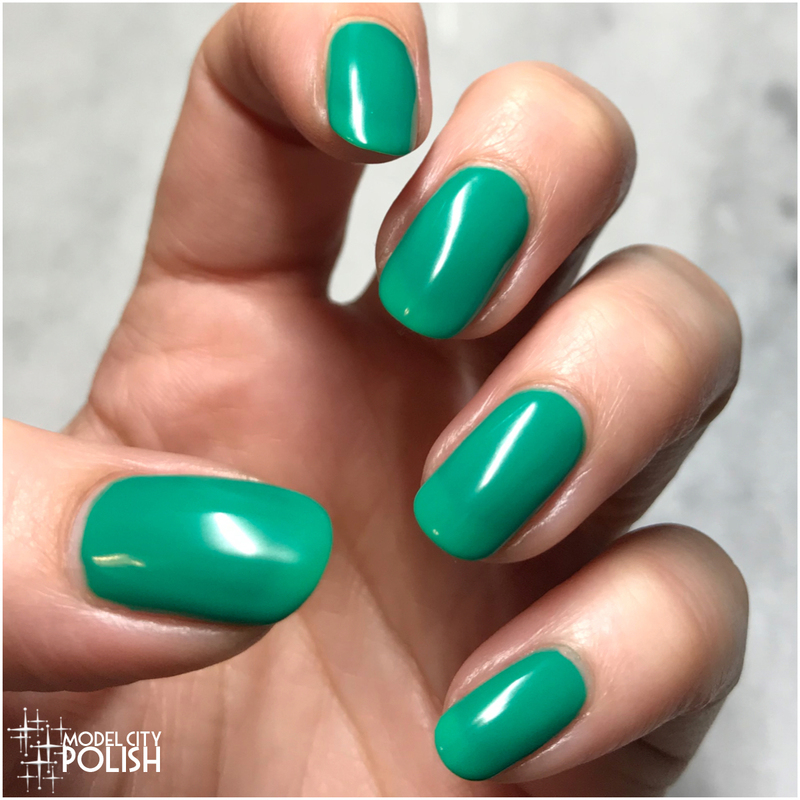 Make A Difference is a rich teal green neon creme that is perfect for anytime of year. 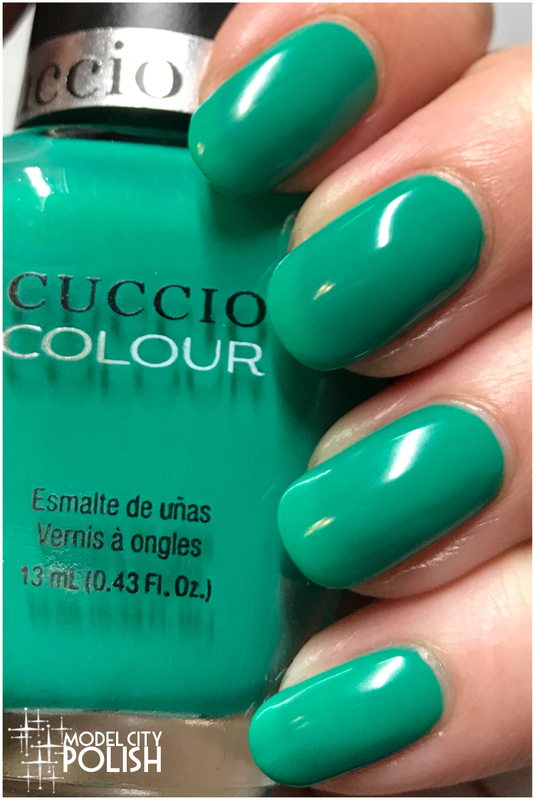 In my photos I am wearing three coats of Make A Difference by Cuccio Colour and one coat of clear. Next up my favorite, which will be no surprise to regulars here. 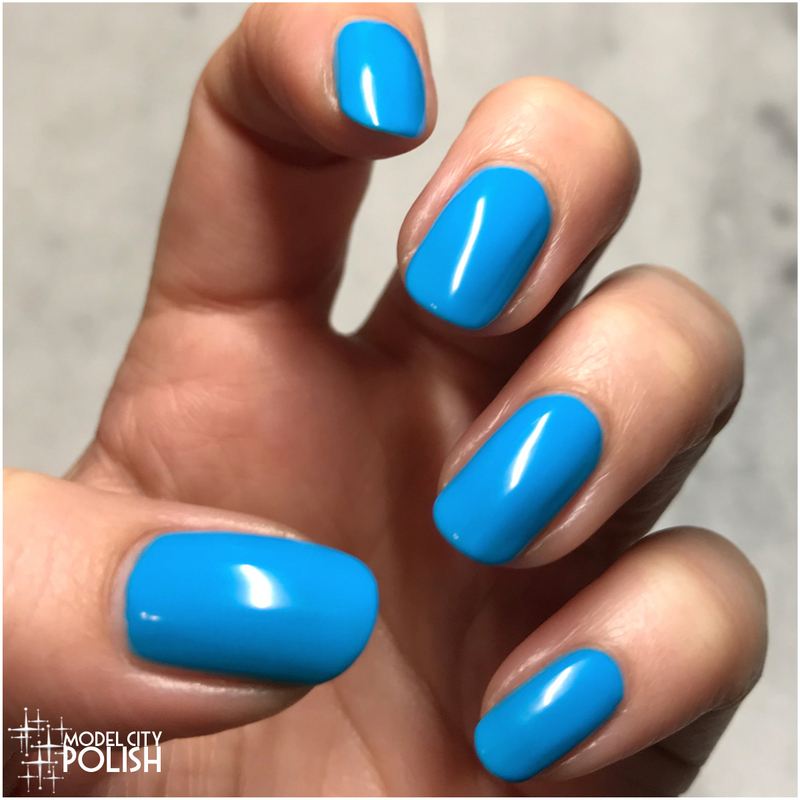 Live Your Dream is a beautiful sky blue neon creme that is perfect…simply perfect! While this would certainly be considered a neon, it’s soft enough that you could wear all year. 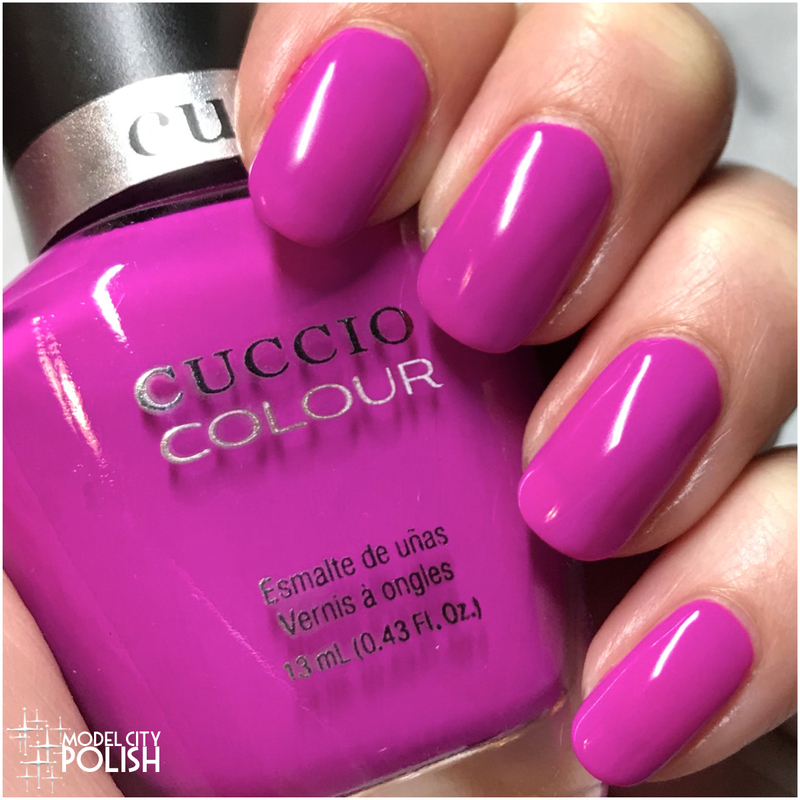 In my photos I am wearing three coats of Live Your Dream by Cuccio Colour and one coat of clear. Now for some purple! 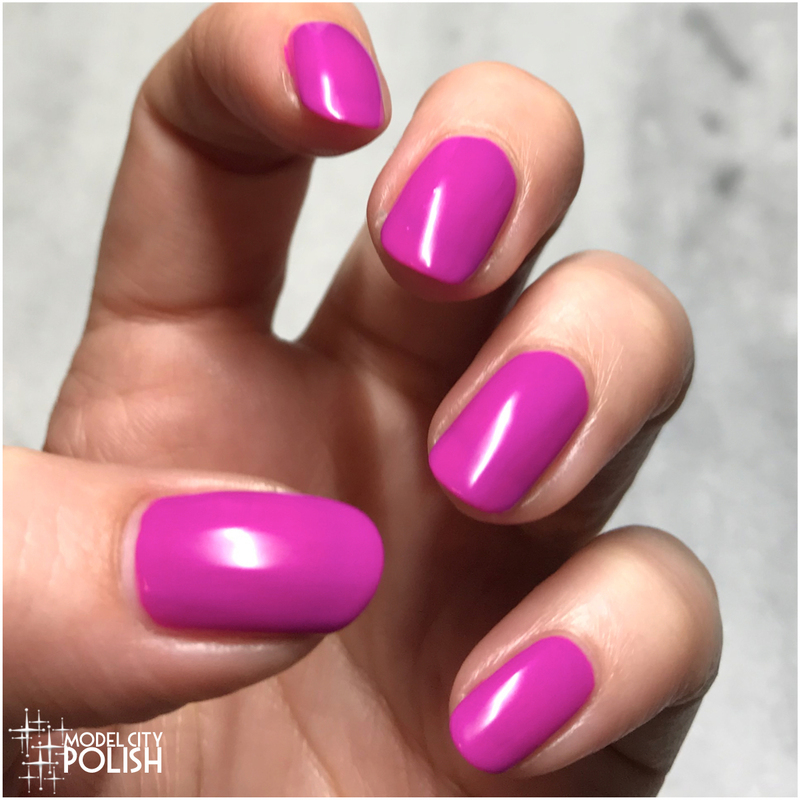 Limitless is a lovely purple neon creme with pink undertones. 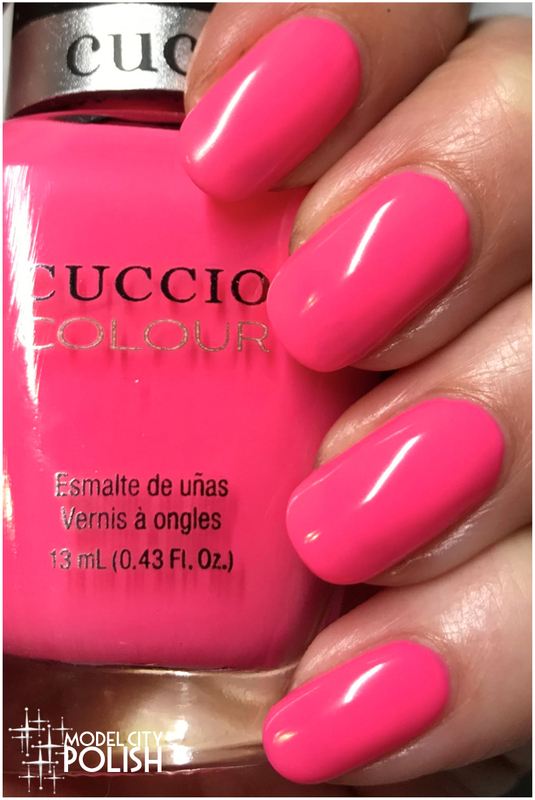 In my photos I am wearing three coats of Limitless by Cuccio Colour and one coat of clear. 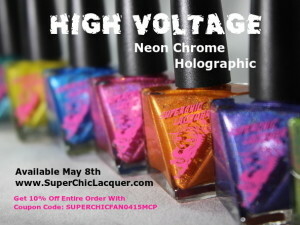 Lastly for the neons we have Agent of Change. 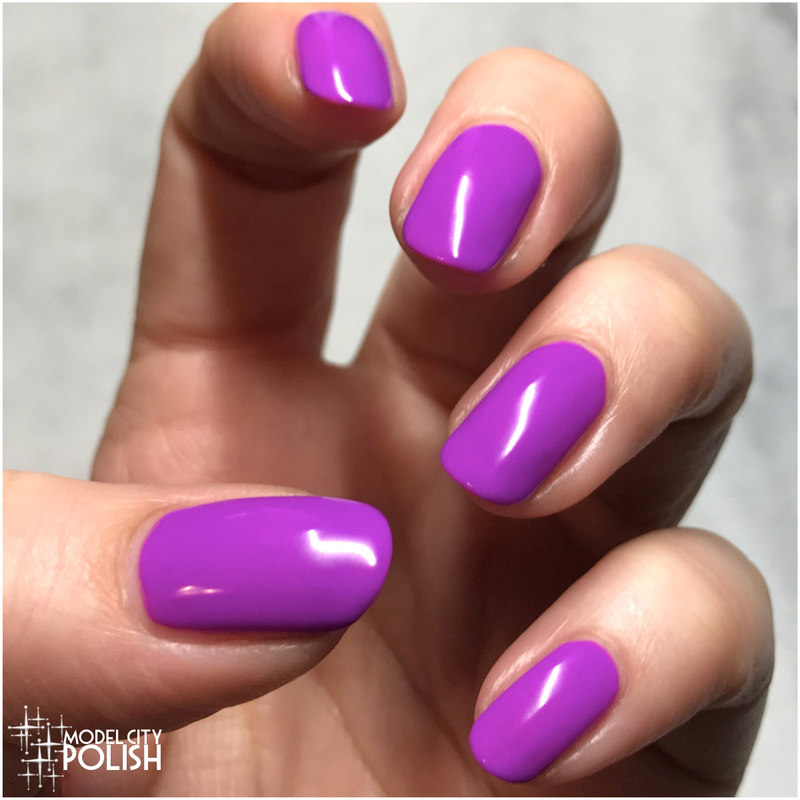 This is a lovely bright purple neon creme. This is certainly another one of those shades that your could wear all year long. 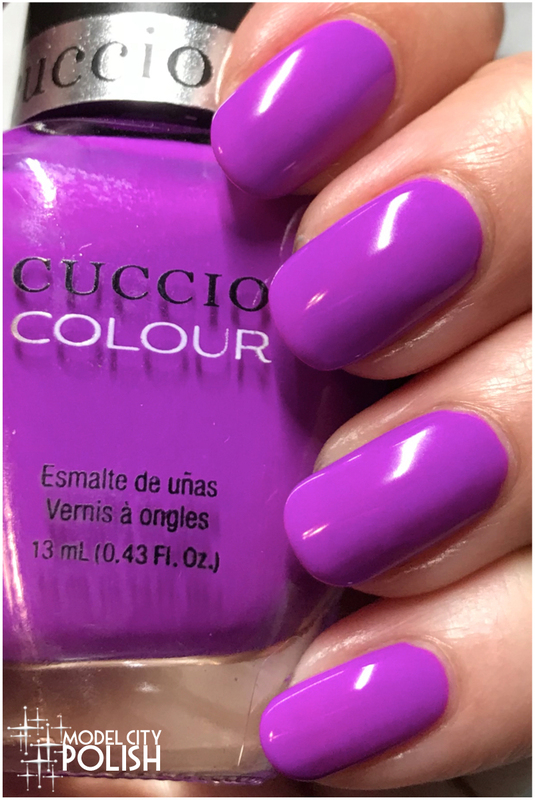 In my photos I am wearing three coats of Agent of Change by Cuccio Colour and one coat of clear. 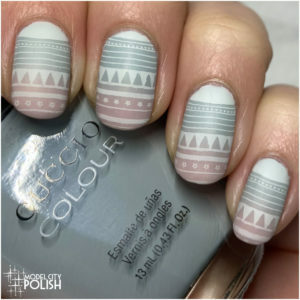 These colours are gorgeous, and the collection name really suits the vibrant shades! I wore a bright cream this week and got so many compliments. I think these shades would illicit those same compliments. So bright and cheery. Wow, what gorgeously bright shades! I love how bright and saturated these colors are. 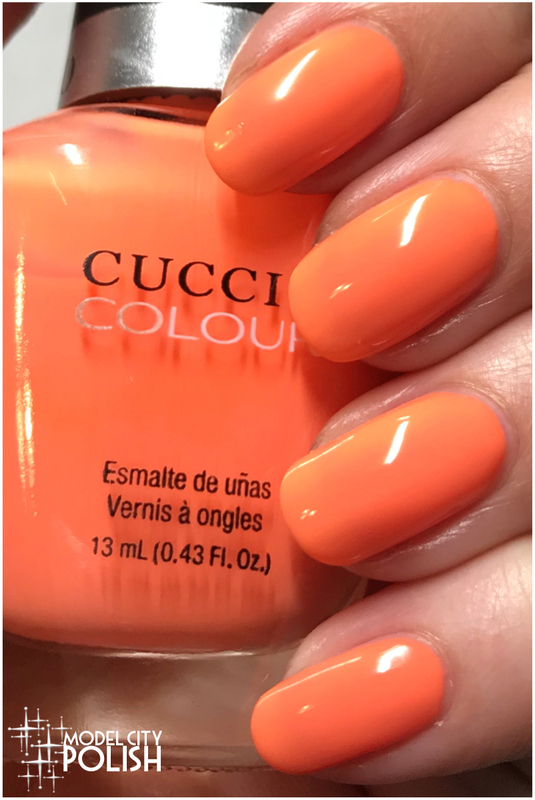 These colors are so vivid and perfect for summer! Those neon pinks and bright purples are absolutely gorgeous! I love the pink and blue! I’m still all about those neons! I wish I could find Cuccio in person! These are awesome! I’ve never heard of this brand before but that neon was SO vibrant! 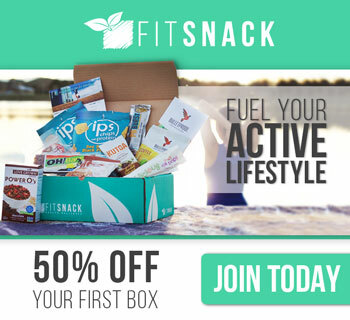 I really love the Make a Difference teal – it’s unique!